Find out more about Kayako with customer reviews, ratings, pricing information and frequently asked questions. 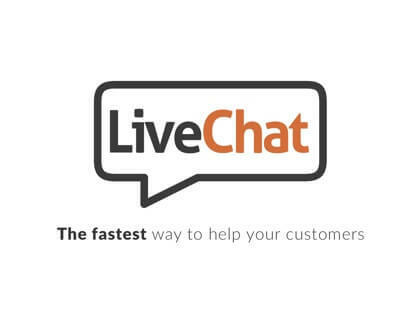 Kayako is a small business software provider that offers communications solutions like live chat. Businesses can use Kayako to stay connected internally across teams and departments and to engage with customers. What is the price range for Kayako's monthly plans? Kayako's monthly plans range in price from $15.00 per user per month for the "Inbox" plan to $60.00 per user per month for the "Scale" plan. How do I access my Kayako login through my web browser? To log into your Kayako account through your internet browser, just go to my.kayako.com and enter your username and password. Fusion is the name of the Kayako ticketing system. With Kayako Fusion, customers can submit tickets through the Kayako helpdesk and customer support agents can track the tickets through to their resolution. Can Kayako replace our business email accounts? The Kayako email alternative isn't necessarily meant to replace your use of conventional email, it just does things that a typical inbox can't. With a Kayako inbox, you can have conversation threads, share and track files and collaborate with co-workers. The platform makes it much easier to track the flow of information. Great for handling daily conversations and easy to use because of the extensive knowledge base. Kayako is a very stable platform that we have been able to use for years. This platform helps us solve problems for our customers. Overall quite functional with reasonable support. The product has been updated, but it still feels out of date. The interface is fast and friendly for new users. Great tool for customer engagement. Excellent integration with other platforms. One downside is that support is hit or miss sometimes. Great customer support with fast response times. Pricing can be expensive. We use Kayako for accessing and filtering emails, which is does a very good job of. I have found Kayako to be too expensive compared to the compeition and the customer support is not responsive enough for my business needs. A modern, fast interface that works so well with mobile devices. We have thousands of tickets and customer inquiries, but Kayako can actually keep up with it all!